The eurozone is in better financial shape than a decade ago, but not solid enough to withstand another economic crisis, the head of the International Monetary Fund said on Thursday. Lagarde acknowledged that the currency union was now “more resilient than a decade ago when the global financial crisis struck. “But it is not resilient enough,” she said. “Its banking system is safer, but not safe enough. Its economic well-being is greater overall, but the benefits of growth are not shared enough,” Lagarde told the gathering, which was organized by the French central bank. The warning comes as signs are multiplying of slower economic growth, especially in powerhouse Germany and the bloc’s second-biggest economy, France. On Friday, indications of a weak first quarter for the eurozone mounted as a closely-watched survey pointed to March output being dragged further down by manufacturing weakness. On Wednesday, the European Central Bank added to growth worries when its chief Mario Draghi hinted that interest rates would stay low for longer than previously anticipated, to stimulate growth and inflation. “Some can rightfully argue that Europe has been slow to produce a fully developed financial ecosystem”,” Lagarde warned, saying Europe was still wounded from the last crisis. “These events left painful economic scars on many households and companies, sowing the seeds of economic disparity across member countries and within”,” she said, adding that “now is the time to give euro area finance another big push”. On banks specifically, she said “we need a European banking system that can bend in a storm without breaking, we need a banking system that will truly diversify risks across the ecosystem and irrigate growth”. She urged eurozone leaders “to reignite the discussion, to negotiate in good faith and make the difficult compromises to unlock the full potential of the banking union”. She also said banks needed to establish a “common deposit insurance” which would act as a “vital shade tree” when risks rose. Such a system should be financed by banks, not taxpayers, she urged. 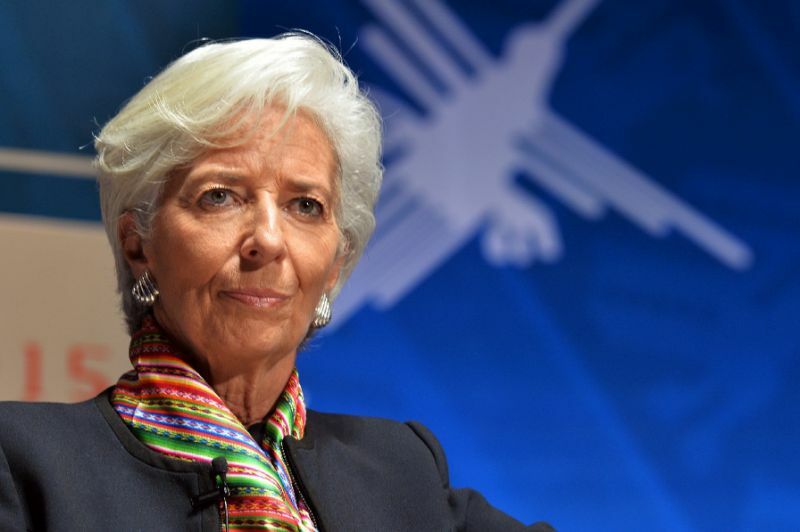 A single European capital market would also help act as a “spare tire” for the eurozone economy, Lagarde said. Many metrics about the United States economy tell us that it is doing well. In particular, the U.S. economy is growing rapidly, many American companies are generating noteworthy profits, and unemployment is at a record low. This notwithstanding, many in the financial community and some economists seem to think that we are in a beguilingly calm period before the proverbial storm. United States Economy: Beguilingly Calm Period Before Proverbial Storm? Is Huawei a National Security Threat to US and its Allies?